Wait. Wrong Story. Still, this Mickey and Minnie thing has been going on a minute. We think they look especially cute as chenille characters on this black Mickey and Minnie Loungefly Bag and we might need to own it right this second. 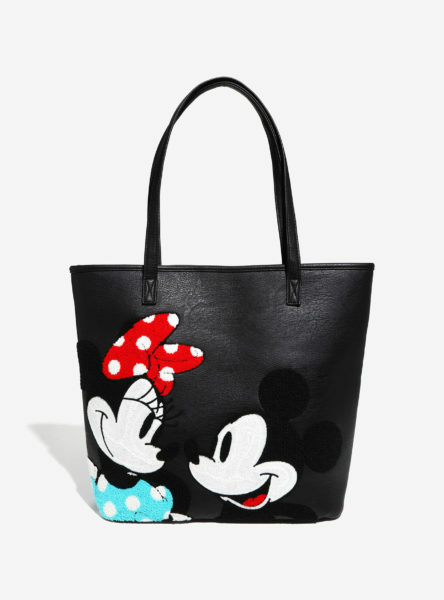 Check out our other Favorite Disney Handbags here! Loungefly is turning out THE cutest Disney bags these days, and the price point is much more reasonable than Dooney or Harveys (not that I won’t still buy those too). I just bought the minimalist mermaid bag through Box Lunch from Loungefly and I am absolutely in love with it. This may be the next addition to my collection. Can you email pictures of the Disney bags and the prices.